Many business owners find that a customer relationship management system (CRM) makes it much easier to stay in touch with clients and prospects. A CRM can be a great tool for understanding the ideal way to keep all of your contact with customers current and a smart task organizer that helps you to make sure that nothing falls through the cracks. But to get the most out of your CRM, you need to keep it organized. Just like keeping a tidy desk or computer, a neat CRM system can be an invaluable foundation for a small business. Really familiarize yourself with your CRM. Many of us are so rushed we don’t want to slow down long enough to watch a tutorial or read helpful guides to maximizing our CRM. This oversight can lead to sloppiness in how you store information that makes your CRM less efficient. Even if you’ve been using your CRM for years, reach out to your account manager and take 30 minutes to make sure you’re using it as effectively as you can. Given that many CRMs get updated periodically, there are probably some features you could be using to keep it more organized that you don’t even know about yet. There may be tools for labeling or sorting information that you haven’t tried. 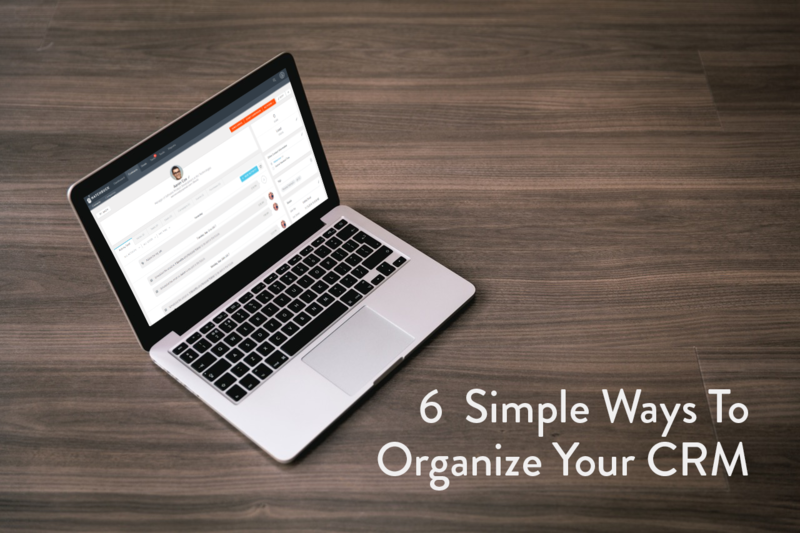 Once you know all that you can do with your CRM, you’ll be able to keep it more organized. Make your CRM part of your routine. Maintaining your CRM system can be a little like keeping up with your travel and entertainment expenses at work. Entering data while it’s still fresh in your mind is better than doing it in a marathon once a year. How often you update your CRM depends on your preferences. Some business owners who work with a large volume of customers update the entries in their system the moment new information flows in, so it doesn’t slip through the cracks. Others do it once a week as part of their administrative routine, perhaps on the same day they tackle tasks like sending out invoices. Blocking out time on your calendar to make updates can be a good way to ensure you stick with it. If you find you never have time to keep your CRM current, consider delegating the job to someone else on your team, such as an administrative assistant or marketer. Your CRM won’t be as helpful if it’s filled with incorrect, outdated information. Automate workflows where you can. 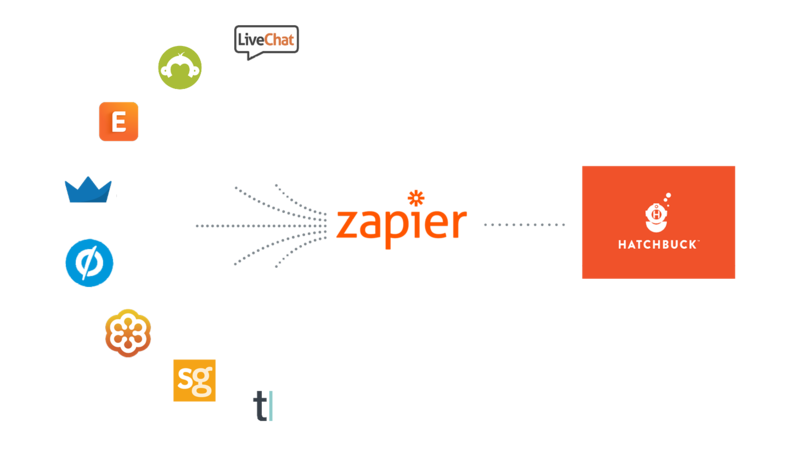 There are a ton of tools you can use – like Zapier – that can help you automatically collect new contacts and update fields in your CRM. Better yet, integrating with a marketing automation tool can help you automate workflows – like following up with hot prospects in your database, or sending an email training course to new customers. The more you can automate data collection and entry for your team, the less human error you’ll run into and the cleaner your data will be. Give key members of your team access to your CRM, so they can benefit from the information you’ve gathered and add to it themselves. If you happen to know that it’s a client’s birthday, for instance, that information might be useful to a sales person on your team who is looking for a reason to reach out to that customer. A good CRM will keep a running history or activity log on your records. That way, everyone who has access to your data can see a comprehensive history for each contact and company in your database.. Even if you update your CRM regularly, it’s easy for duplicate entries to slip in or for information to become out of date. Commit to doing regular “housekeeping” once a month to look for information that needs fixing, so you and your team have reliable information on hand at all times. Keep tasks up to date. Many CRMs have a function that lets you add tasks, such as sending a newsletter or renewing a contract, so you don’t forget about them and remain timely in your outreach. Taking full advantage of features like this can help ensure that you don’t forget about important steps that would help you close more sales. Make time to analyze your data. A good CRM will more than pay for itself by helping you slice and dice the information you’ve stored so you understand factors such as the demographics of your customer base and their buying habits. Get familiar with those features so you can really put your CRM data to work in your business strategy—and knock it out of the park when it comes to hitting your business goals.